Dog Leads: Which one is right for you and your dog? 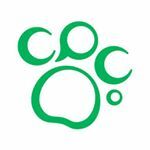 – Dog Leads: Which one is right for you and your dog? Dog leads were something I used to purchase by function, rather than how they would feel in my hand. Then, my Frenchie, Elle, was doing a brand shoot for Barbour Dogs.They sent a lead and collar as part of the thank you. When I was walking her with the soft Barbour lead, I noticed immediately how smooth and soft the leather felt against my skin. Well-made, with the human in mind, the Barbour lead got me to thinking what makes a dog lead the right one for your dog. Prior to that experience, the only thing I had known for sure was that one should not indulge in the adjustable lead. It allows the dog to have too much control. It should be avoided with a puppy who is in training. The human must be established as the leader, not let the dog wander all over as much or as little as they like. Adjustable leads can be used for sporting adventures but for urban dwellers, especially training puppies, they can be a hazard. A puppy is learning about the world, learning what limits are and given endless options without discipline, will get into hijinx, or worse, like run into oncoming traffic. I tried the popular Found My Animal rope lead, but the rope was too harsh against gloveless hands. Nylon is fine, durable and often comes in stylish patterns. Brooklyn Shed is a vegan brand who produces nice leads with fun patterns, like grrl power. My dog’s Instagram handle being @grrlgenius_ made it an excellent gift for us and provides a reminder of empowerment. When you have use a set length lead, it creates a bond of comfort between you and your dog. If the lead is too long, you can wrap it around your hand several times to shorten it, and unwrap as needed during walks. 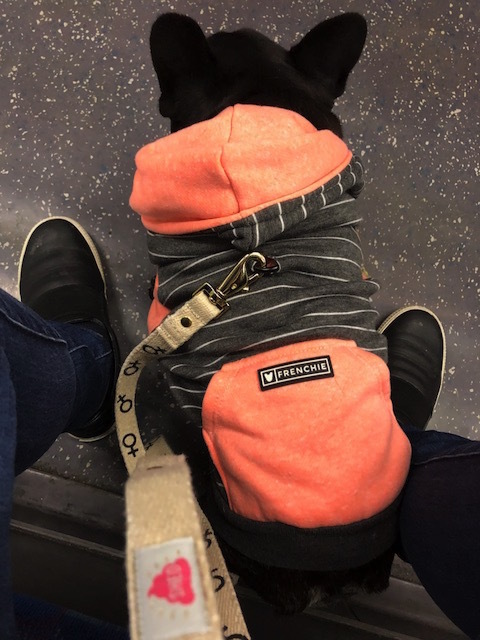 While many trainers advise your dog should walk behind you to know you are the alpha, with a small dog, I like to have her in front of me or next to me so I know where she is and can intervene quickly if a stranger is bothering her or there’s danger. 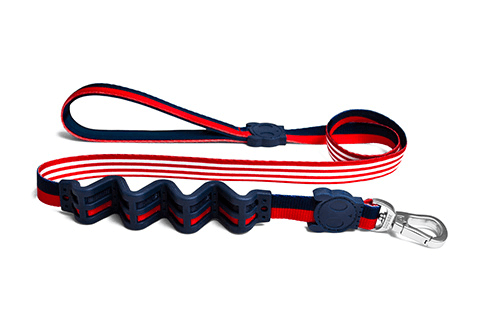 If your dog likes to pull you, a great and stylish lead by Zeedog is the way to go. 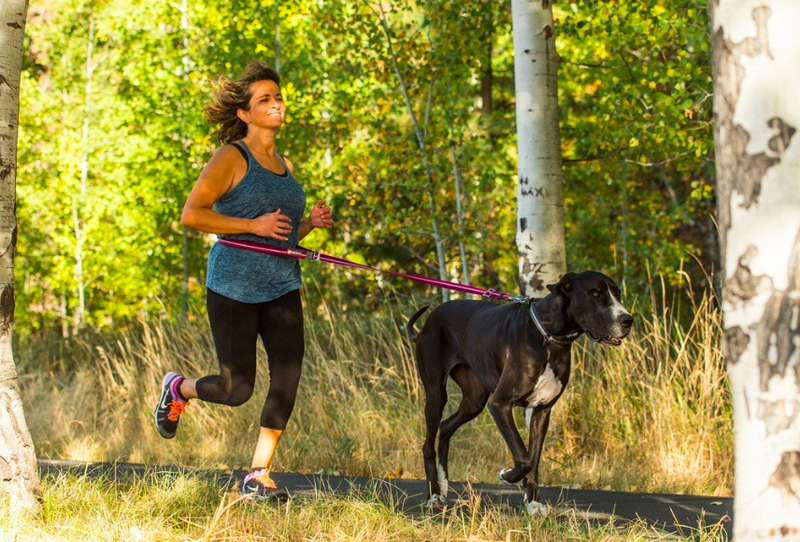 Stylish and colorful, Zeedog leads absorb the shock from your arms when your dog is pulling. Many of the leads have matching harness or collar options. Different dog leads can be appropriate for different reasons. Many brands offer a dual lead for two dogs, which can also be converted into a hands-free option, like this Slackline Lead. Hands-free dog leads can be wrapped around cross body or around the waist. This is ideal for running together and park situations. 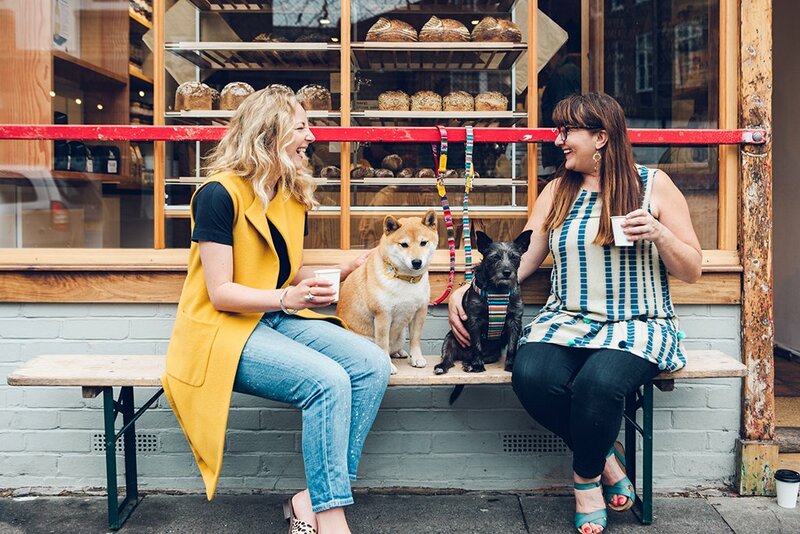 There can be an adjustment of your dog pulling you forward, so if your goal is to be able to carry your coffee while you walk your dog, you may want to only half fill it until you establish a rhythm with your dog. For pack dog leads with multiple dogs, a dog lead coupler with multiple dog leashes, look for a bungee option. This allows for dogs to adjust to being couple together. I went for a walk with my friend and her three doxies. A new rescue was recently added to the pack, who doesn’t walk as quickly as the others. It took a couple of weeks, but over time the dogs are walking as a pack. There’s enough give if one pulls to the side, but control for the human to keep them on track. No matter what your style is dog leads help create a bond between you and your dog.